The New Jersey Devils are going to have to get by without their starting goalie for the time being. 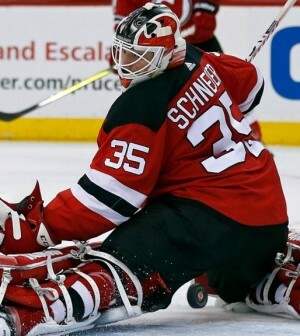 The team announced Monday that they have placed Cory Schneider on injured reserve as he deals with an abdominal strain that has hampered him as of late. The 32-year old hasn’t played since being pulled less than ten minutes into the team’s 5-4 overtime win vs the Vegas Golden Knights on Friday after allowing three goals on just five shots. He has appeared in just nine games this season, posting an 0-5-1 record, 4.66 goals against average and an .852	save percentage during that span.